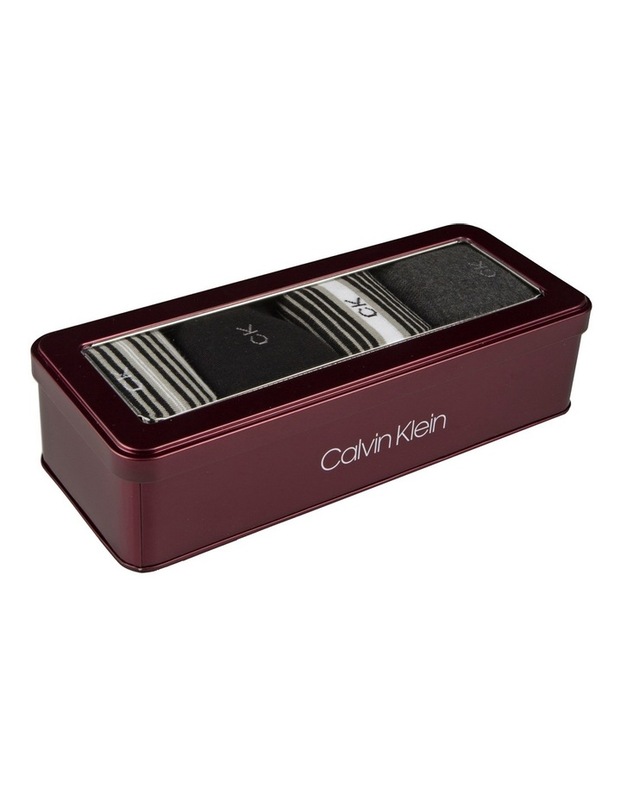 Calvin Klein 4 Pack Dress Socks Gift Box. 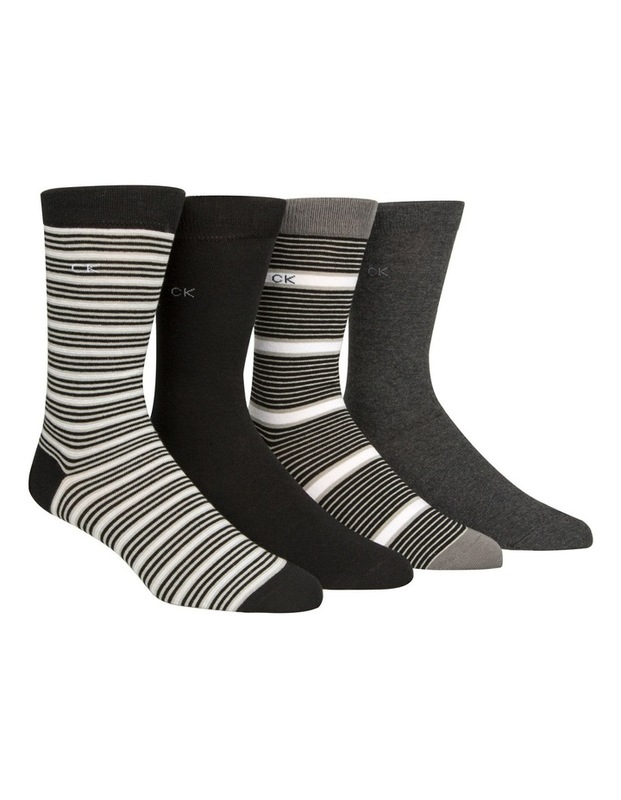 4 pair striped crew gift tin made from premium combed cotton for soft touch comfort and breathability. Smooth handlinked toe seam for added comfort. Reinforced heel toe for increased durability. A great gift giving item.